New Orleans There are many small town papers that used to thrive by feeding their readers the daily police reports. These days reading the financial pages is more than an adequate substitute, since every day we seem to get another perp walk in the criminal conspiracy now called modern banking. I know it’s tedious to keep returning to our old nemesis, JP Morgan Chase, but let’s face it, under Jamie Dimon and their pursuit of being the biggest bank in the land; they seem to be unable to keep from also being the baddest bank in America. This time they are trying to enter an agreement to prevent criminal charges for their role as the main Madoff bank enabling his massive Ponzi scheme for over 20 years. Internal emails seem to abound about suspicious while the bank counted their millions and helped him along the way while doing so. The arm so clearly understood what the hand was doing that Chase’s private bank refused to take Madoff as a client even as the main bank was his counting house. Now, late in the game they seem willing to promise that they won’t let this happen again, but will report suspicious activity in the future, but most of us must realize that these big, bad boys will be breaking that agreement even while ink is drying on their signatures. Meanwhile Bank of America went to a jury trial to try to prove that they didn’t defraud the government by selling packages of bad mortgages directed by the executive, Rebecca Mairone, who was running that part of the show for Countrywide, which is now part of their diminished empire. Bad move, team! Mairone ran something it turned out that they called the “hustle,” a nickname for HSSL or the “high-speed swim lane,” which seems to have been a steamed up boiler room operation that pitted bankers in a competition to see who could originate loans more quickly, credit be damned, so that they could bottle the slop up and sell it off on the government’s secondary market. The jury was disgusted, so “guilty as charged.” The government is asking for almost $900 million as a penalty to be paid by Bank of America, though the judge will decide of course. There’s also every indication that there will be a line forming for stockholder and other class actions now given the guilty verdict. The jury also found Rebecca Mairone guilty as the day is long. Her lawyers say, it’s not over yet. Luckily, she still has a job in banking. You may wonder where she’s working now? JP Morgan Chase of course where the biggest of the bad boys run wild and free. Little Rock It takes a lot of newsprint and video clips to bring Jamie Dimon, the arrogant chief of JP Morgan Chase, one of USA’s largest banks, down but stories in the Times picked widely of Chase enabling predatory on-line payday lenders by allowing hundreds and thousands of overdraft and other fees to empty workers’ accounts when payday companies tried to collect payments scores of times over a matter of days. He claimed he was going to fix the problem. It is clear his fix is the same as the “fix is in,” and is a wave at the problem without any real reform. Dimon and Chase claim they will only stop assessing NSF (non-sufficient fund) charges when an account is empty rather than continuing to kill the dead horse. To respond to the problem with customers having paid off the loan but being unable to stop the payday predators from continuing to access automatic withdrawals, Chase claims they will “better train” their workers. Are you kidding me?!? That’s another way of saying, good luck, Charlie! 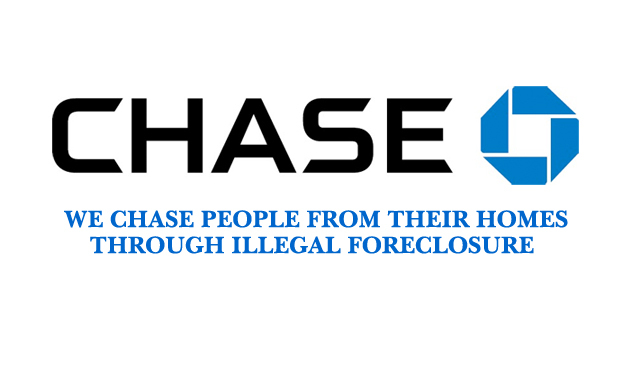 Chase claims that they will make it easier for customers to leave Chase and close their accounts to stop them from being raided with Chase’s help by letting people close if Chase itself deems the charges “inappropriate.” They say they will alert the Automatic Clearing House (ACH) which manages the transfers about frequent abusers. This is a bank tool, not a regulator! This is no reform. This is in fact is the same as saying you will do nothing, but simply using more words to say nothing. Even more unbelievably though Chase is greeted with applause for doing nothing because Bank of America, Wells Fargo, and others said nothing, meaning they intend to do nothing or at least are waiting to see if they can get away with it. Somewhere in all of this the fact that Chase and the rest are enabling a criminal conspiracy seems to be lost. By allowing deductions they are “aiding and abetting” a crime since many of these on-line companies are skirting state laws capping interest and regulation payday lending. Dimon and Chase are simply putting a fig leaf in front of the fact that they should be vetting the transfer process and instead are joining in the fleecing of their customers through illegal activity. 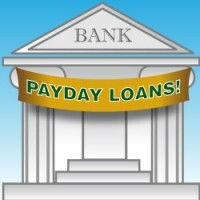 The changes come as state and federal officials are zeroing in on how the banks enable online payday lenders to bypass state laws that ban the loans. By allowing the payday lenders to easily access customers’ accounts, the authorities say the banks frustrate government efforts to protect borrowers from the loans, which some authorities have decried as predatory. Both the Federal Deposit Insurance Corporation and the Consumer Financial Protection Bureau are scrutinizing how the banks enable the lenders to dodge restrictions, according to several people with direct knowledge of the matter. In New York, where JPMorgan has its headquarters, Benjamin M. Lawsky, the state’s top banking regulator, is investigating the bank’s role in enabling lenders to break state law, which caps interest rates on loans at 25 percent. Let’s hope the government acts quickly and aggressively, because Dimon, Chase, and the rest of the gang are clearly just shaving off a couple of pennies here while they help clean out working families bank accounts. There ought to be a law, and in fact thanks to some states, there are laws. Now we have to see if these folks are going to enforce the law, because that’s all that can stop this.